The first anniversary of the disastrous earthquake in Japan will be on March 11th, 2012. The aftermath of this catastrophe is still apparent, and to the present day the Japanese people are facing the impact of the events. The population of the affected area has not been able to completely return to their everyday live and the people are still grateful for our help. Some of Europe’s leading rock artists have united to join a campaign initiated by singer Tommy Heart (SOUL DOCTOR, FAIR WARNING) and recorded a tremendous new version of the classic BEATLES song 'Help'. The EP Help! For Japan will be released in Europe on the German label Avenue Of Allies in early March 2012. 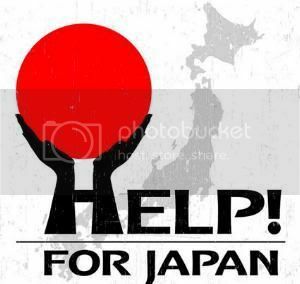 All income from the sales of this project will be donated to the Japanese Red Cross. The singers: Tobias Sammet (EDGUY, AVANTASIA), Bob Catley (MAGNUM), Andi Deris (HELLOWEEN), Torstein Flakne (STAGE DOLLS), Marc Storace (KROKUS), David Readman (PINK CREAM 69), Claus Lessmann (BONFIRE), Oliver Hartmann (HARTMANN), Bernhard Weiss (AXXIS), Michael Kiske (UNISONIC), Tony Mills (TNT), Carsten Lizard Schulz (EVIDENCE ONE) and Tommy Heart (Soul Doctor, Fair Warning). The solo guitar players: Cede Dupont (DOWNSPIRIT), Kyoji Yamamoto (BOWWOW), Helge Engelke (Fair Warning), Roland Grapow (MASTERPLAN), Leo Leoni (Gotthard), Henny Wolter (NITROGODS), Robert R. Rodrigo (AIRLESS).